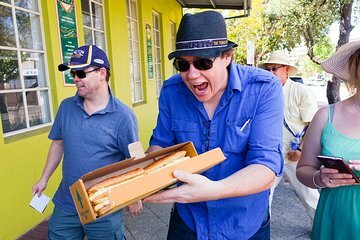 Perth is fast gaining a reputation as one of Australia’s great food destinations and this tour gives you the inside scoop on where to eat and drink in the city. Accompanied by a local guide, explore the Central Business District and the atmospheric Northbridge neighbourhood, stopping at bars, restaurants, and artisan shops that only locals know. Along the way, sample everything from Peking duck pancakes to toasted sandwiches, as well as coffee, craft beer, and handmade chocolates. Food and drink tastings are all at your own expense.